Floods usually occur as a result of inclement weather (e.g., storms, cyclones, tornadoes or thunderstorms, heavy or persistent rain), snowmelt and ice melt, or sudden leakage of water pockets. These events result in floods in the significant riverbeds or the accumulation of runoff, resurgence or melting in low areas on both sides of streams and downstream of rivers. In mountainous regions, land movements (earthquakes, landslides) and avalanches can lead to the overflow or rupture of hydraulic dams or cause unstable reservoirs in certain parts of the watercourse, thus threatening or destroying the population and the environment — infrastructure in the lower valleys. 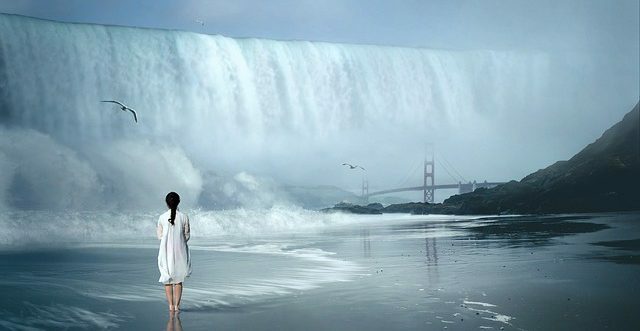 Breaks or overflows of hydraulic dams, as well as seismic waves (tsunamis / tidal waves), are individual cases requiring special protective measures. Depending on the nature of the phenomena causing the floods, the damaging effects can be highly variable and affect entire regions or be limited to certain relatively small areas. Also, the impact will vary with the sudden and violent nature of the event, or because of the steady and relatively slow rise of the waters, which will flood a large area of ​​the territory, especially in the plains bordering the rivers and their mouths. The danger is logically the highest in mountainous areas or valleys with steep slopes, where depressions will be entirely razed or momentarily drowned, then covered with thrusting materials (rocks, sand, gravel, etc. ); this will result in the destruction or stagnation of all or part of the dwellings, economic infrastructure and vital installations (energy network, transmissions, and drinking water). The same is true of torrential rains (thunderstorms) in arid regions and deserts, where water can not infiltrate the impervious soil and flow on the surface, depending on the relief, destroying dwellings and localities over very great distances. But all types of floods will regularly have dire consequences because of the side effects in particular. A very localized or relatively low water level flood can cause widespread damage, especially the interruption or destruction of communication routes (roads, railways, etc.) or loss of infrastructure and the environment (economy, supply, crops, etc.). 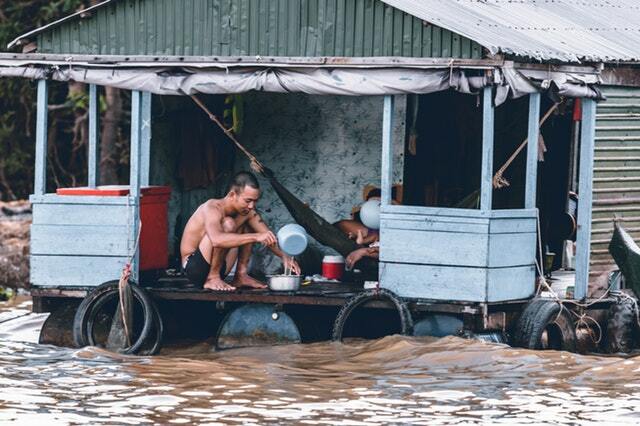 Unlike other natural phenomena (ground movements) or at the origin of some floods (lousy weather, tsunamis), the risks of river floods are predictable in their intensity, but it is difficult to know the moment when they will occur. It is, therefore, possible to determine the territories threatened by the flood. This rule also applies to hydraulic dams, the consequences of which may be calculated by considering the volume of water retained, the slope and the topography of the valley, as well as Absorption capacity of downstream streams. Long-term prevention and precautionary measures will focus on the management of endangered areas through the enactment of legislation requiring the systematic assessment of potential natural hazards and then taking them into account when delineating building sectors and during the granting of building permits. These preventive measures will be supplemented by an obligation to afforest and maintain forests and vegetation, as well as by the development of rivers at high altitudes. To this end, we can only recommend the establishment of a National Hydrological and Geological Institute to study these problems and to coordinate preventive measures in this field. Preventive reduction of the water reservoirs of the hydraulic dams and increase of the flow of the watercourses (locks). 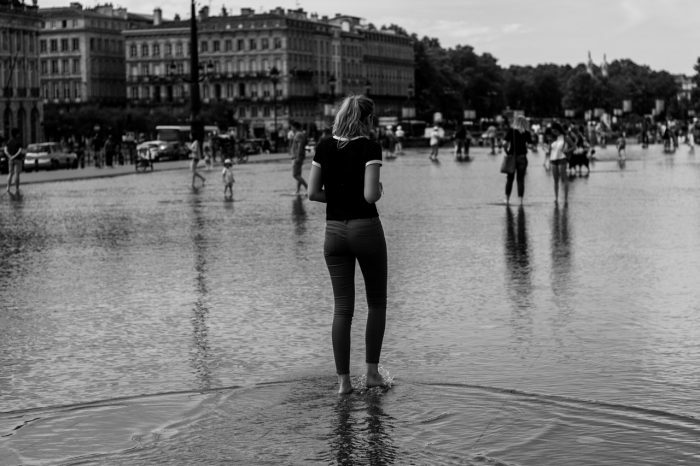 As soon as a significant flood hazard is identified, after assessing the seriousness of the situation and the causes of the event, local, regional or national authorities decide on protective measures dictated by the probable evolution. It is up to them to implement the planned precautionary or protective measures, in particular: alert and alarm service, closure of the threatened sector, information of the population on the behavior to be held, possibly order the evacuation of all or residents, domestic animals and cultural property and values ​​outside the potential flood zone. The management of protection, search, rescue and assistance measures (supplies, medical relief, evacuation) is the responsibility of the political authorities and their governing bodies that ensure the coordinated engagement of civilian and military response capabilities. Whenever possible, the collaboration will be sought with business security officials, rescue organizations in neighboring municipalities and cross-border emergency and relief teams. If the national means prove to be insufficient, in particular as regards the protection of the environment (oil pollution or toxic products), the government of the affected state can appeal for international emergency aid by contacting the United Nations Department of Humanitarian Aid (UNDHA). ← Emergency situations – you must be prepared to take care of yourself and your family for at least 72 hours. Here’s how. Can Psychics Predict Future Disasters? Emergency situations – you must be prepared to take care of yourself and your family for at least 72 hours. Here’s how. Travel Tips, What To Do In Case Of Natural Disaster?